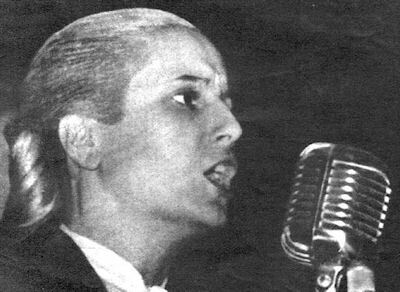 From 1946 to 1952, Eva Perón (full name: María Eva Duarte de Perón) was Argentina's First Lady. Nicknamed Evita, she became a massively popular celebrity and icon to Argentinians, as well as a source of great controversy. Her life inspired the Tim Rice and Andrew Lloyd Webber Broadway musical Evita (which became the 1996 film version starring Madonna), but there's much more to the real Evita's life.